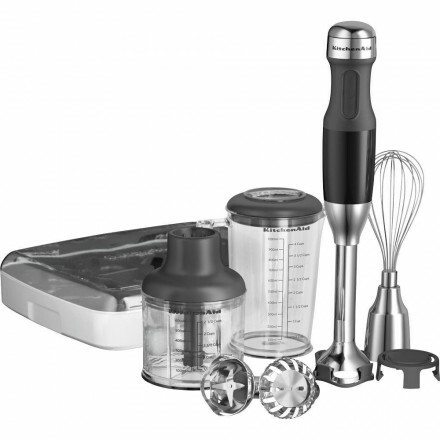 OK to the giveaway, I absolutely love a hand blender. I use it ALL the time and thought it would be a nice treat for one of my readers to enjoy this blender as well. It’s a great tool to have in the kitchen. I use it with just about all of my blending. Here are some of the things you can do with it; smoothies, sauces, baby food, ice, Frappes, Salsa, graham crackers, nuts and the list goes on. Endless possibilities. 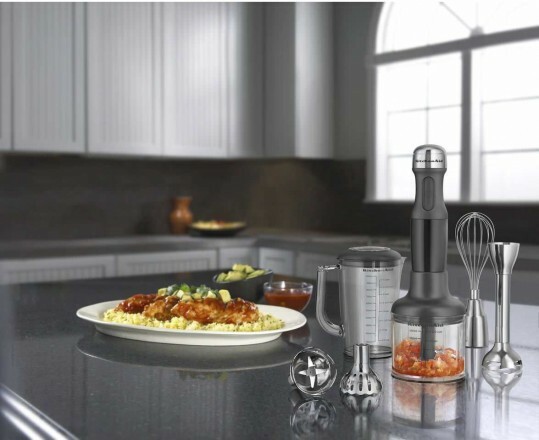 This Kitchen Aid Architect Series has a 5-speed stick with an 8-inch blending arm that will reach into deep pots. The Blade Assemblies are easily interchangeable. There is even a storage box for all the blades. Oh yes, please.. When commenting below please provide a valid e-mail. This is how I will contact the winner. My favorite kitchen appliance is my Kitchen Aid mixer that I got for Mother’s Day this year from my husband. Happy anniversary!!! Good luck for future years of blogging! Happy 1 year anniversary. My favorite kitchen appliance is my mixer without doubt. I used it almost daily and thanks God for it, such a great technology progress. Happy one year anniversary! Love you site, Love your posts and LOVE your recipes! My favorite tool is my oven taster.